SafetyTalks provides all of Professor Andrew Hopkins’ thought-provoking observations and proposals, sourced from his bestselling books and full-length DVD workshops. SafetyTalks allows for flexible and innovative training applications that cover 55 video topics, with detailed support material. "SafetyTalks" brochure. Should you require to receive an evaluation package including all the topics from the twelve modules as well as the SafetyTalks User Guide: Please contact us. Available via electronic download or via DVD in the mail. Bradken; Chevron Australia Pty Ltd; Chevron USA; ConocoPhillips Australia – WA; Coogee Chemicals Pty Ltd; EnergyAustralia; Huntsman Corportation; Husky Energy Inc; National Grid; Nexen Energy LLC; Nynas Ab; P&O Maritime; Qatar Petroleum; Sakhalin Energy; Sandvik Mining and Construction Australia; Shell Canada Ltd; SIL Support; Suncor Energy Services Inc; Vector Ltd; Wesfarmers Chemicals; Woodside Operations. 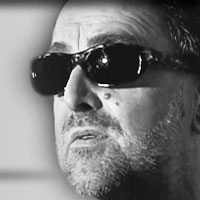 FutureMedia is proud to be organising the third visit to Australia of high-impact safety speaker Ken Woodward. Since his workplace accident in which he lost his eyesight, Ken has travelled the world where his emotionally charged and yet humorous presentations, motivate development of positive safety cultures. He features in the well-known safety training DVD "Hindsight". The NSCA National Safety Conference is on 14 October 2015 at the Shangri La Sydney. Ken will also be providing a range of management and leadership seminars whilst in Australia. Currently he has a few days available to conduct in-house presentations in October in NSW and Victoria. Please contact us for further information on what could be offered to your organisation. 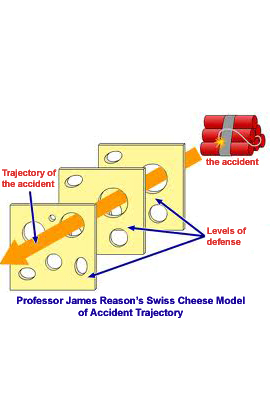 From the creator of the 'Swiss Cheese' model of system failure - Professor James Reason. James Reason, world renowned expert in human performance in hazardous systems, is featured in the Managing Human Error DVD training course.